SoundFont the brand name that referred to sample-based synthesis in early sound cards to playback MIDI. There was no where near enough data available on disk for an mp3! You needed the sound font stored on your sound card to turn that midi data into a more musical result. Often used in games and later mobile phones they created a generation hooked on general Midi. Although it was never intended as a way to compose music, the sounds have become classic tools for dance and hiphop producers. NI’s Kontakt has largely replaced the soundfont and alternatives have sprung up that enhance the concept like ReFX’s Nexus. While they replace the need for soundfonts, they are often expensive investments. 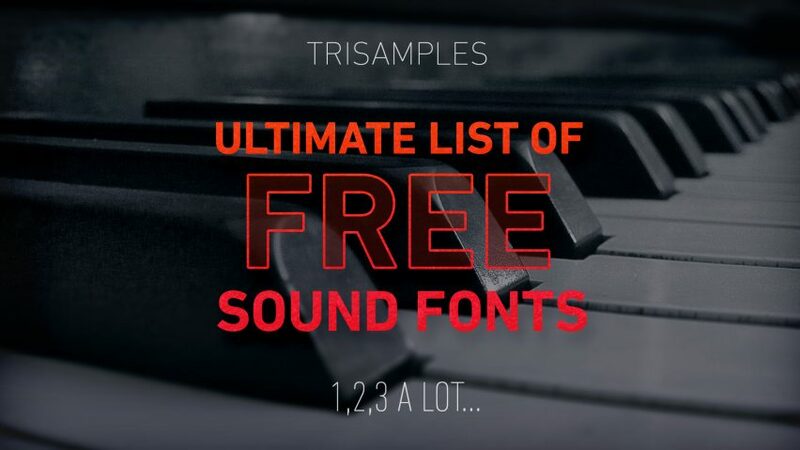 Soundfonts are free, can contain hundreds of sounds from orchestral to drums and evoke the past. We’ve collected an ultimate list of some of the best we could find from around the web so you don’t have to. You need a VST SoundFont player but most software like FL Studio and Ableton Live already come with one. You can also drop them inside Kontakt too. Some Soundfonts use a compressed format, use the sfArk tool to open them.